Bruner will receive the 2018 Rose Mary Carroll-Johnson Distinguished Award for Consistent Contribution to Nursing Literature at the 43rd annual meeting of the Oncology Nursing Society in Washington, D.C.
Deborah Watkins Bruner, PhD, RN, Winship associate director for mentorship, education and training, will be honored at the 43rd annual meeting of the Oncology Nursing Society in Washington, D.C., May 17-20, 2018. 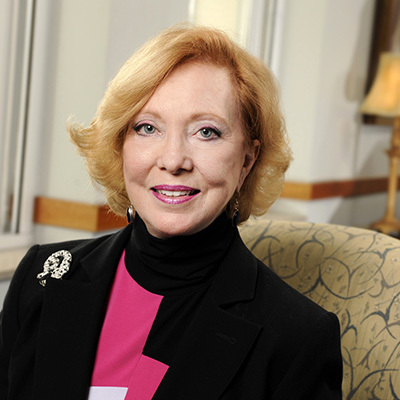 Bruner will receive the 2018 Rose Mary Carroll-Johnson Distinguished Award for Consistent Contribution to Nursing Literature. She will also lead a session on health disparities that will focus on where a patient lives and how that impacts life expectancy and cancer care. Winship oncology nursing teams will present clinical research throughout the conference, which is expected to draw nearly 4,000 attendees. Hannah Collins, MSN, ANP-BC, AOCNS, and Colleen Lewis, MSN, ANP-BC, AOCNS, will discuss the role of advanced practice providers in phase one clinical trials. Other Winship presenters include: Carrie Belmore, RN, BSN, OCN, Edith Brutcher, NP, Sheena Cole, MSN, RN, Ashley Morgan, MSN, RN, and Karen Russell, MSN, RN, AOCNS.